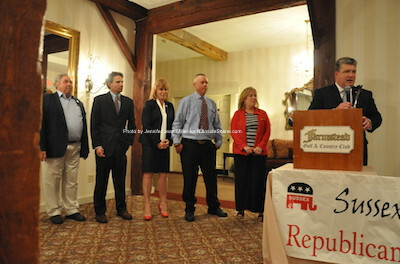 Senator Steve Oroho introduces the winners, from left to right: Carl Lazzaro, Jonathan Rose, Gail Phoebus and Parker Space. Also pictured is Alison Littell McHose, who has resigned from her assembly seat. Photo by Jennifer Jean Miller. SUSSEX COUNTY, NJ – After contentious campaigning in a number of municipalities as well as for the freeholder and race for the assembly seats, in the race for the Assembly seats, incumbent Parker Space took the lead at 6,527 votes, with his running mate Sussex County Freeholder Gail Phoebus tallying at 6,043 votes. In the race for the two freeholder seats, Fredon Mayor Carl Lazzaro earned 4,274 votes and Sussex Borough Mayor Jonathan Rose 4,234. Space’s and Phoebus’ Republican contenders were Marie Bilik and Nathan Orr, who each earned 1,696 and 2,009 votes respectively. On the Democratic ticket for the Assembly race were Michael F. Grace and Jacqueline Stapel, who received 877 and 887 each of the vote. In the freeholder race, incumbent Dennis Mudrick was unseated with 3,713 votes and his running mate Frankford Mayor Gary Larson garnered 3,716. Earlier in the vote count, however, Larson held a brief lead over Lazzaro, when Larson held 1,678 votes to Lazzaro’s 1,675. However, the tide turned when 83 of the 119 precincts reported results and Lazzaro’s count superseded Larson’s 2,289 to 2,211. 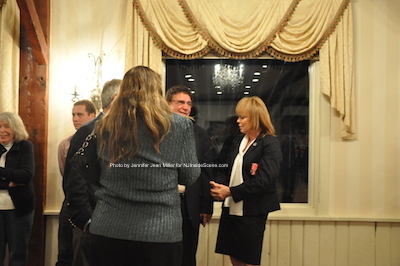 There were no representatives of the Democratic Party who ran for the freeholder race. 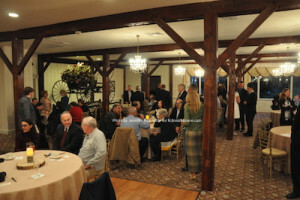 Supporters and candidates from throughout the county wait for the results. Photo by Jennifer Jean Miller. 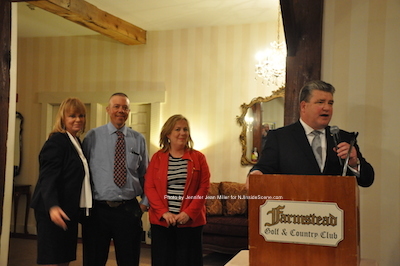 Senator Steve Oroho at the podium recognizes (from left to right) Gail Phoebus, Parker Space and outgoing assemblywoman Alison Littell McHose. Photo by Jennifer Jean Miller. Both Phoebus and Lazzaro gave special thanks to Freeholder George Graham. Phoebus and Graham have faced heated opposition on the freeholder board from the three fellow members who signed a settlement agreement for the failed solar project. Phoebus and Graham taking their stance against the settlement agreement has divided the freeholder board. “George Graham is a great freeholder, but he’s a better friend,” Lazzaro stated, presenting Graham with a t-shirt at the podium. 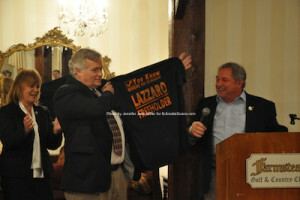 Freeholder George Graham holds up the shirt that Carl Lazzaro presented to him as Gail Phoebus looks on. Photo by Jennifer Jean Miller. All winning candidates in all the races will still need to vie for their seats in the November election. Jill Space (right) announces results for Franklin while Stephen Skellenger (left) , one of Franklin’s Council candidates looks on. Photo by Jennifer Jean Miller. In the municipalities, two races many eyes were on were the Franklin Borough Mayor and Council races. The run for mayor took place between incumbent Paul Crowley and Councilman Nicholas Giordano. Giordano unseated Crowley 378 votes to 199. In the run for council with two seats available, Michael Rathbun and Gilbert J. Snyder took the race with 330 and 327 votes. Stephen M. Skellenger earned 236 votes and Frederick Babcock 200. Patricia Rowett ran on the Democratic ticket for Franklin’s Mayor seat and earned 41 votes. One of the other big races in the county was in Andover Township. The current mayor Michael Lensak was unseated in the primary with 274 votes, with Janis McGovern carrying 346 votes and Ellsworth E. Bensley, Jr. with 312 votes. Current Frankford Township Deputy Mayor Sam Castimore will have two new committee members joining him in 2016, with Edwin Risdon, Jr. earning 394 votes and David DeLima earning 333 votes. In the Hopatcong Borough Mayor race, Sylvia Petillo received 512 votes, with no opposition and 43 write-in votes. On the Hopatcong Borough Council, Richard Bunce took 462 votes, Marie Galate 440 and Mara Modes 192. 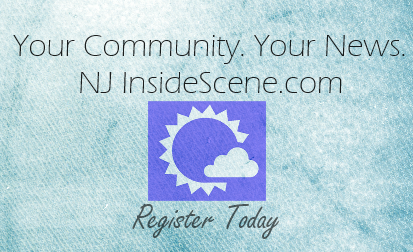 For a full results report, click here for the Sussex County Clerk’s report. The results are unofficial until they have been fully certified by the clerk’s office. Gail Phoebus (right) waits for the results at the Farmstead. Photo by Jennifer Jean Miller. At the Farmstead event, a special thanks was also given to Ailish Hambel, the Sussex County GOP Chair who has officially submitted her resignation as of June 10 after serving as chair since 2009. 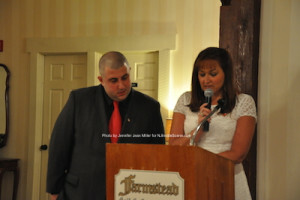 Hambel was not present at election night events. The GOP has 30 days from June 10 to find a successor for Hambel’s seat.